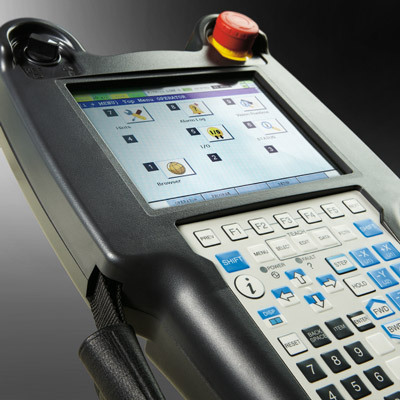 The FANUC R30iB iPendant touch combines user-friendly operation with speed and energy efficiency. 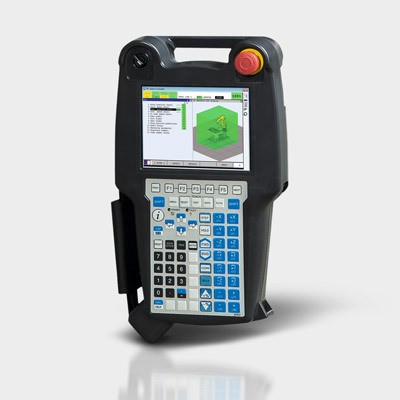 In addition to its ergonomic design and large colour touch screen, it contains function keys to control the seventh and eighth axes. One or two windows can be displayed on the monitor, the latter option improving the functionality of the multi-tasking feature. 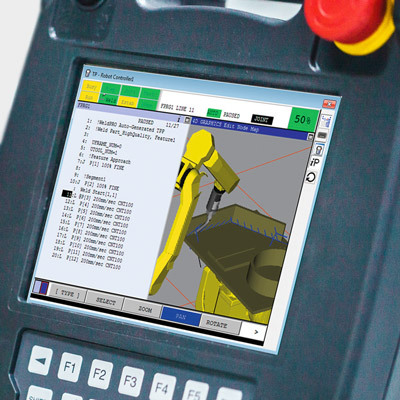 The monitor also displays 3D graphics, making program steps much easier for the operator compared to 2D. These isometric views are exclusive to the R30iB. 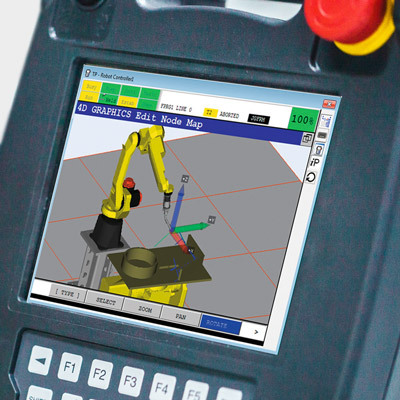 The lightweight and ergonomically designed FANUC iPendant Touch with its intuitive graphic user interface provides user-friendly programming for both programmers and on-site operators. Define and create your own HTML screens using iPendant’s customisation functionality. 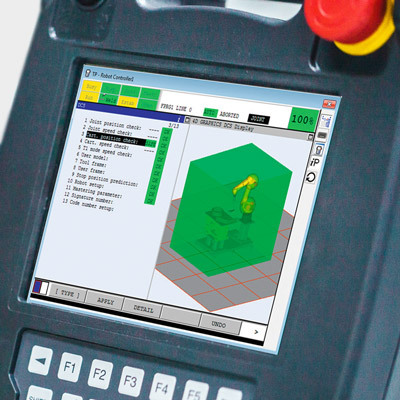 Highly realistic 4D graphics bring tool and frame settings, safety zones and robot paths to life. Visual representation of motion paths and program points along a node map makes understanding the robot’s path easy. The iPendant’s 3D graphic display saves you time when setting up and modifying Dual Check Safety zones. 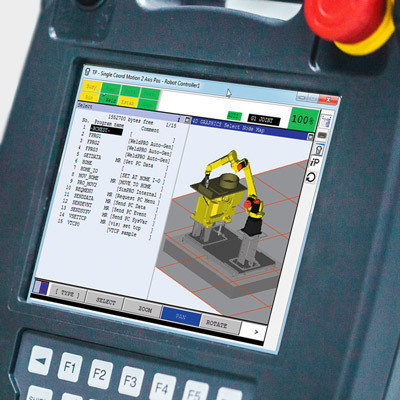 Learn more about FANUC’s Dual Check Safety function. Confirms direction and distance of jogging quickly and conveniently using the 3D model.